The Eva-Dry E-500 Renewable wireless Mini-Dehumidifier is the perfect reusable moisture absorber that’s ideal for use in your safe. Its color changing beads alert you when the dehumidifier is ready to be renewed. 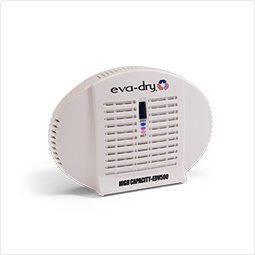 The Eva-Dry E-500 is a wireless dehumidifier that eliminates batteries and cords. 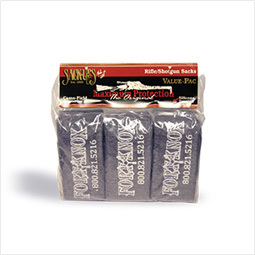 It will protect your guns in your gun safe from moisture or you can use on a boat or RV to protect your precious items from humidity and moisture. 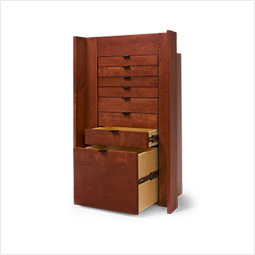 Simply place Eva-Dry E-500 inside your safe and the moisture will automatically be absorbed on it’s own. Wireless no batteries or cords to plug in. Contains a moister indicator window with special moisture meter crystals that change from blue (when dry) to pink (when wet) to indicate when your unit needs to be recharged. The E-500 will absorb about six ounces of moisture, all depending on humidity levels in your area which can take about 6-8 weeks. Once the moisture has been adsorbed, it will not leak or spill. It uses a special engineered crystallized silica gel that is odorless, non-toxic and completely safe. Once the Eva-Dry E-500 turns pink and has absorbed enough moisture, it is time to recharge your dehumidifier. All you need to do is plug it in to any power outlet in a wall ventilated area. The built-in heater will warm the crystals which allows them to expand and release the moisture as water vapor into the air. Give it about 12-14 hours to completely recharge. Once it is recharged, the crystals will turn back to blue and your unit is ready to stick back in your safe to absorb more moisture.